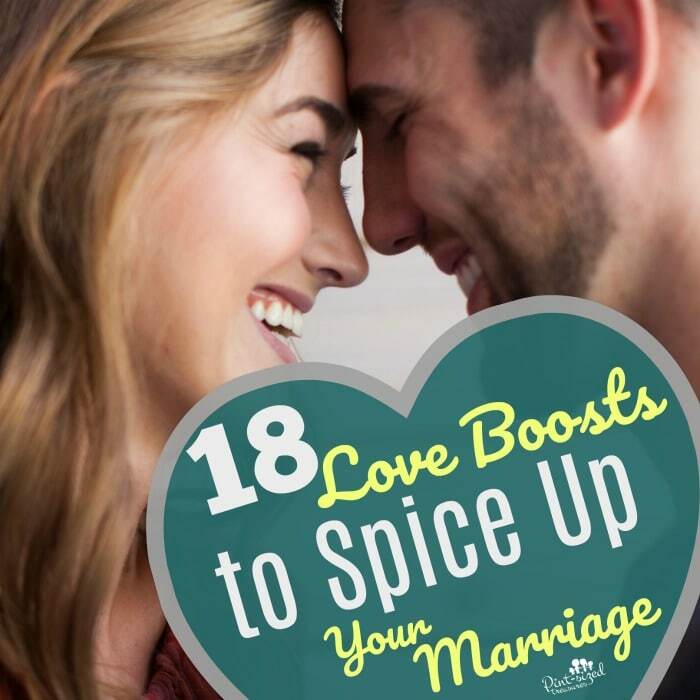 Home › Marriage › Spice up Your Marriage with these 18 Powerful Love Boost Ideas! 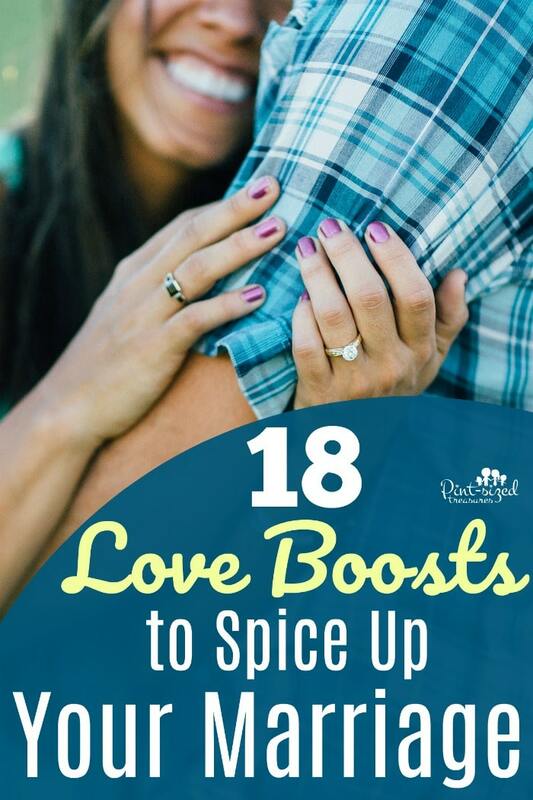 Every marriage craves spice and absolutely needs love boosts! Check out out twenty ideas that will help your marriage thrive! A passionate marriage overflowing with spice is an enviable treasure. Before my husband and I were married we would share with each other our dreams and hopes for our marriage relationship. And one of my dreams for our marriage was to have a passionate, exciting and spicy marriage. I didn’t want us to be the middle-aged couple who rarely held hands, never spent time together and seemed to be annoyed just by each other’s presence. During our first few years of marriage my husband and I noticed marriages of all kinds were peppering our lives. But for our relationship, I wanted a mix of happy, mushy-gushy and crazy-fun. In my newly married mind all those attributes would bring spicy and passionate results! Was a spicy marriage even possible? Was I aiming too high? Was my head in the clouds of the “honeymoon” stage? Thankfully, God brought people with healthy, thriving marriages into my life who offered bucketfuls of inspiration that I would always keep tucked in my heart. A love that sacrifices…a love that doesn’t assume the worst…a love that’s patient. 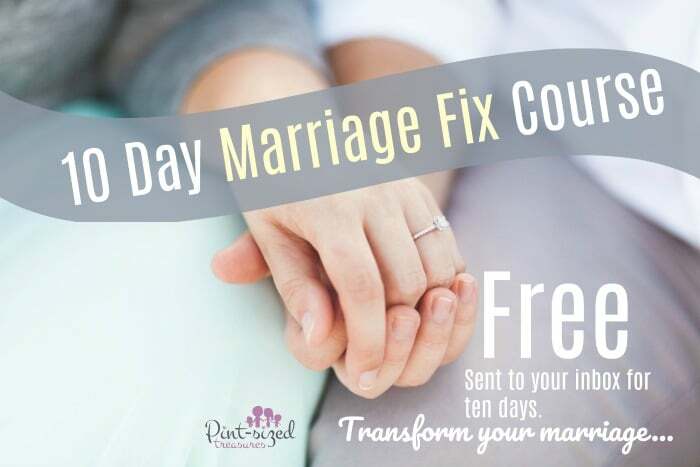 And because we’re passionate about marriage, we want to invite you to join our 10 DAY marriage fix course! Love, spice and a marriage of that power is demonstrated in I Corinthians 13. I recommend every married person to memorize that chapter until it’s always on the tip of your tongue and etched on the innermost places in your heart. And with that inspiration, we’ll give you 20 LOVE BOOSTS that will will give your marriage long-term spice…the spice that creates a passionate, sacrificial love that some people dare believe exist. If you want to meditate on the ideas of becomingness selfish in your marriage, I highly recommend this article from my friend Lisa. Let’s dig in and see your marriage transformed! Psst! We also have a printable you can download with all the love boost ideas! Grab it below! 18 LOVE BOOST Ideas to SPICE UP Your Marriage! Marriage is saturated with situations where miscommunication or misunderstandings happen. That’s where patience is the key to a spicy marriage. Patience also has to step in when your spouse continues to do things that irk you. Patience also needs to take control when your spouse is acting human. Keep patience in your heart at all times. It paves the fastest path to a spicy marriage! When your husband is conversing with you, take time to look at his eyes, his chin, his hair. Enjoy those moments. He’ll notice. The bonus points are that when you’re making an effort to admire him, your mind and heart will be gearing up for “spicy” mode! Even when you don’t feel like being kind, be kind anyway. Manage a smile, a hug, a kiss and a welcoming tone in your voice. Kindness will give your spouse a safe place…a place where he’s welcomed, loved and accepted. Avoid envying anything of your husband’s. Does your spouse get to eat out at restaurants frequently? Does he get new cars, new clothes and paid travel? Instead of envying him, be happy for him. How can you do that? By counting your own blessings! You have much to be thankful for — focus on that and be happy for the blessings in your husband’s life! When you’re hugging goodbye, hug a few seconds longer than anticipated. He’ll notice. Take those little moments here and there to fan the flame! Everyone is gifted with talents and skills — don’t believe that you should announce your gifts. If your husband praises you, thank him for his kindness and affirmation. But don’t make the common mistake of bragging on your gifts, your achievements or what you do for your family. Boasting of yourself only creates distance and a competitive spirit in marriages. We want to add spice, not distance! Always squish into your spouse. Watching a movie? Squish up closer. Grocery shopping? Walk close to him as you’re scoping the coffee isle. Turn ordinary errands into opportunities for physical closeness. It keeps the motor running! Our nasty human nature always strives to provoke our hearts and minds to assume the worst about our spouses. Don’t let your mind entertain those thoughts. Yes, your marriage definitely needs boundaries, but it also needs faith and trust. Assume the best and your marriage will reap a deeply connected relationship that overflows with passionate spices! 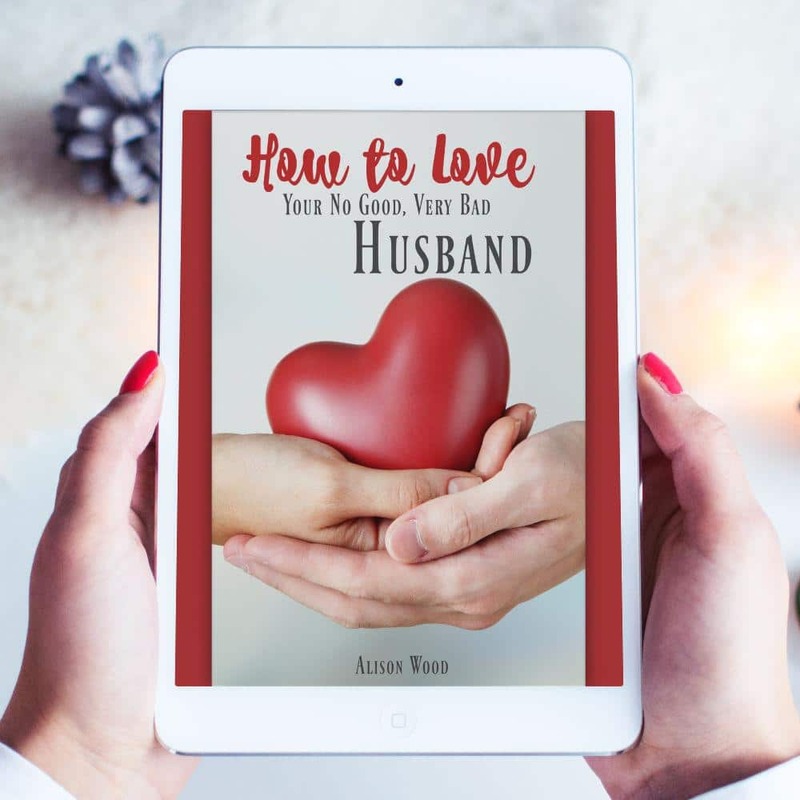 And just a side-note: if you’re struggling with truly loving your husband, or you want to dig deeper into HOW to love your already super-awesome husband, then I’d love for you to check out our favorite resource for wives — How to Love Your No Good, Very Bad Husband. It’s only for wives who genuinely desire to dig deep and see their own hearts grow with a passionate love for their husband — whether he’s a good OR bad husband! There’s something about a woman’s giggle that gets a man’s attention! With six children in our home and the responsibilities of running a household, I still struggle with finding my giggle at times. But, when I focus on all the blessings I have in this life instead of the hardships, I’m able to find those buried giggles and soon they bubble over. My husband loves to see me giggle — especially when I’m a little bit hyper. It brings out the fun side of me — and he loves it! I bet your husband will love to hear you giggle more often too! If he wants to reach a fitness goal, give him heaps of praise! If he sets a goal to save up for a large purchase, help him reach that goal! Everyone else will wait for him to fail, but you? Wait for him to succeed! Press on through the tough times. Miscarriages, financial struggles, grandparents and parents that pass away, broken friendships — they’re all a part of most people’s married lives. Those are the moments when it’s achingly difficult to muster up kindness, patience and affection. You may be even angry with your spouse for not viewing the difficult as you do, but don’t forget that you’re a team. You go through these tough times together. Press on with your hands in each other’s. Never consider your spouse the enemy during those times when the it feels like thunderstorms of bad news are constantly looming overhead. Draw closer. My husband and I are like salt and pepper. We’re polar opposites, but we complement each other. He tends to be the pessimist and I think sometimes, in the midst of a hardship, my optimism irks him. But afterwards he often grins and thanks me for showering his day with hope. Even if your husband thinks there’s no positive outcome in a situation, be there to give hope. Hope can keep a person trying. Hope can give a person a reason to face the world. Hope is powerful. And yes, hope adds spice to your marriage! You two probably have your own secret code words for intimacy….and NO, I’m not telling you our secret codes…ha! Use those to send racey texts to your husband throughout the day so his mind is sprinkled with spicy thoughts of you! Change things up and be willing to try new ideas in the bedroom. I’m sure your husband has a few, exciting ideas up his sleeve! Ask him what those are and surprise him with making his dreams come true! Don’t fall into a rut in this area of your marriage. Be willing to be adventurous! Put two human beings under the same roof for years and you’ll have countless opportunities for temper tantrums. Yes, toddlers aren’t the only ones who explode in anger! But if you want to have a spicy marriage, you’re going to have to control your temper! Walk away, cool down and think 37 times before you speak one anger-fueled word when you’re frustrated with your spouse. The fast-track to a bland relationship is disrespecting your husband via nasty words that erupt out of your mouth during a heated argument. No amount of skimpy clothing can replace the damage your disrespect made. Keep your mouth closed and your temper in check until you’re able to be kind again. Trust me on this one — ha! And if you’re a mom, we discuss anger triggers for moms here to help you flee those too! Wear what he likes often. Men are super visual creatures. Take notes of what outfits he really notices and spice those up for date nights! Keep his eye tanks full! Be his #eyecandy! Whisper “sweet nothings” into his ear. You know what he wants to hear, say it! But whisper it in his ear for an extra love boost! You can’t have too much spice, right?! How many times do you make eye contact with your spouse throughout the day? Make it a point to smile when your eyes meet. This outward expression of affection gives your husband a place to rest his eyes, his heart and his love. Your smile speaks volumes to him and can be a tiny part of starting the fire in a passionate marriage! 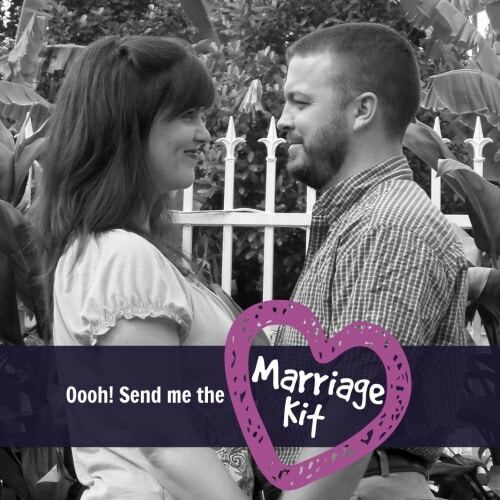 Want more marriage help? I have a gift for you! 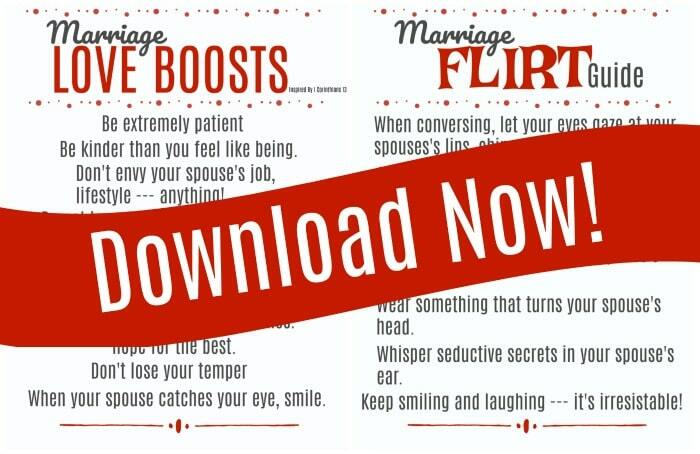 Check out my fun marriage kit below for printables to keep marriage a priority in your life!